I have recently been on a series of nightshift (hard work!) and that will explained why I have been slacking in posting any cooking recipes. I haven't done anything exciting that is post-worthy lately and as you can see, have dined out more often than you can shake a stick at. On a recent shift, due to my stupidity (I think it's the disorientation that I felt from all these vampire shifts), I have arrived in work two hours too early and so decided to hunt down a simple dinner destination. I was feeling exhausted and anywhere that were too hype up and busy were off the menu, that included Slider Bar which open that very evening (next time I'll get you!). 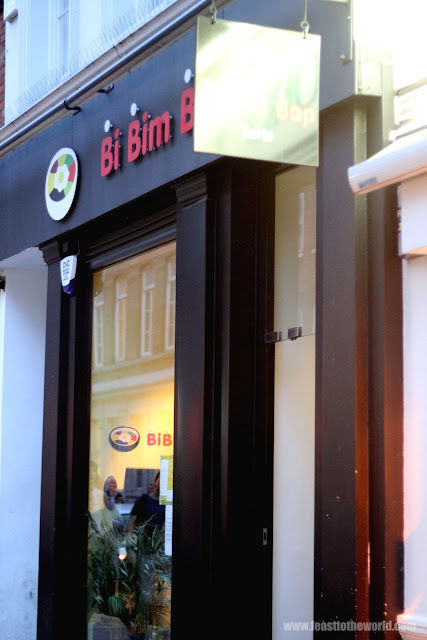 So wondering around Soho and that is how I stumbled upon this tiny Korean restaurant, Bi Bim Bap, situated along Greek Street. 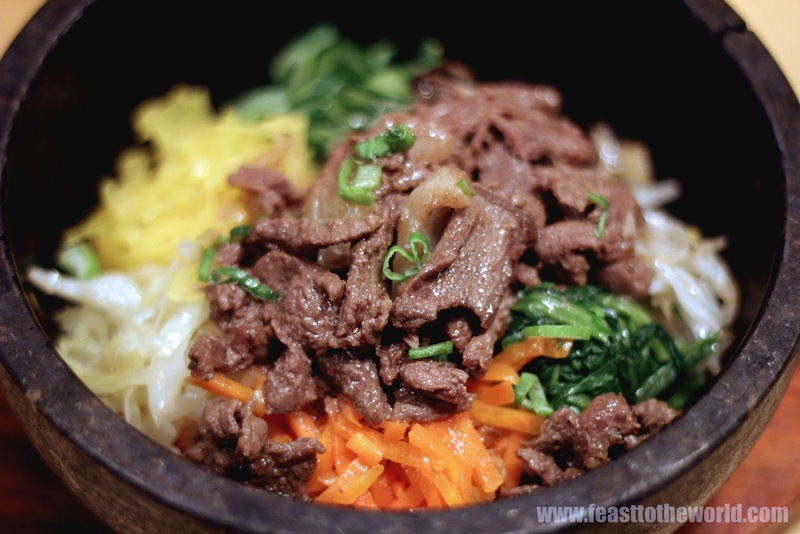 The pleasure of Bibimbap is that you'll get is this scorching hot stone bowl presented itself in front of you. 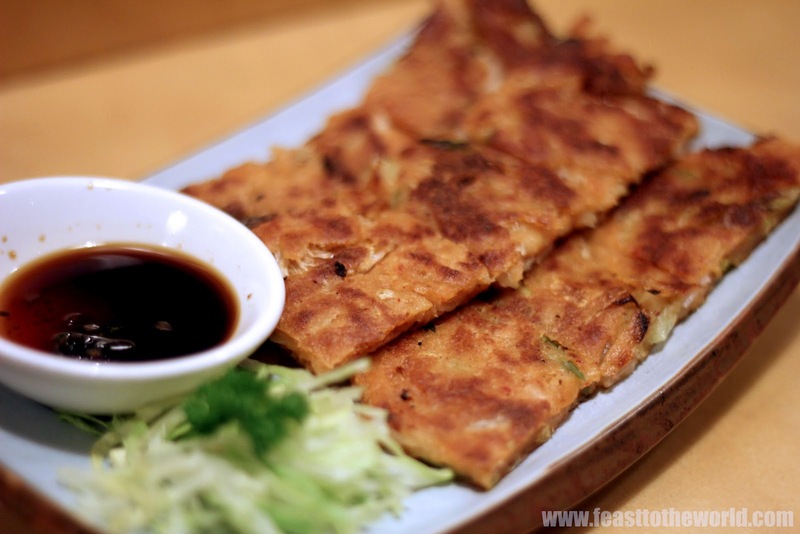 This will be filled with steamed rice and top with some of the most delicious topping such as Beef Bulgogi or Jeyuk Bekkeum along with some simple vegetables, sometimes raw egg is also cracked over these. To serve, you simply stir all the ingredients together and mix well and the intense heat from the bowl will continue cooking these in micro seconds (especially the egg) and yield a delicious one bowl wonder. This filling and comforting rice dish is popular in Korea and also happens to be this restaurant signature dish, well it is called Bi Bim Bap after all. Perfect for the mood I was in. Of all the different Bibimbap on offer, I went for the Beef Bulgogi (BBQ beef) and some Kimchi (Korean pickled cabbage) pancakes and chilli squid. 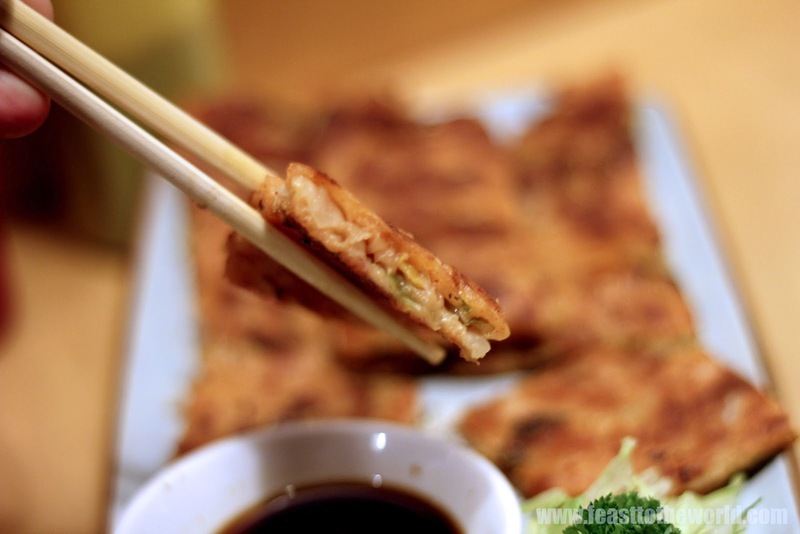 The pan-fried Kimchi pancakes appeared first of all and these were light and crispy. There was a good balance of the kimchi to batter ratio and had none of the stodgy feel. These were served with a fragrant sesame and garlic sauce. A very delicious little bites. Chilli squid (£5.25) that followed, however, was slightly disappointing, Not only does it not have any kick to it, it was also a bit overcooked. 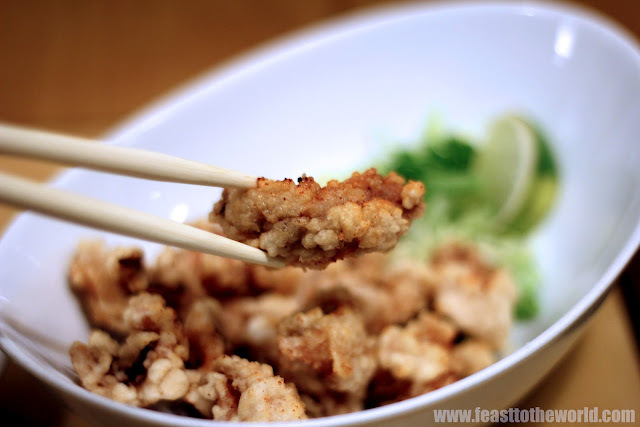 Beneath the crunchy, crispy coating laid some tough chewy seafood which wasn't at all pleasant. The chilli dipping sauce did salvaged it slightly. 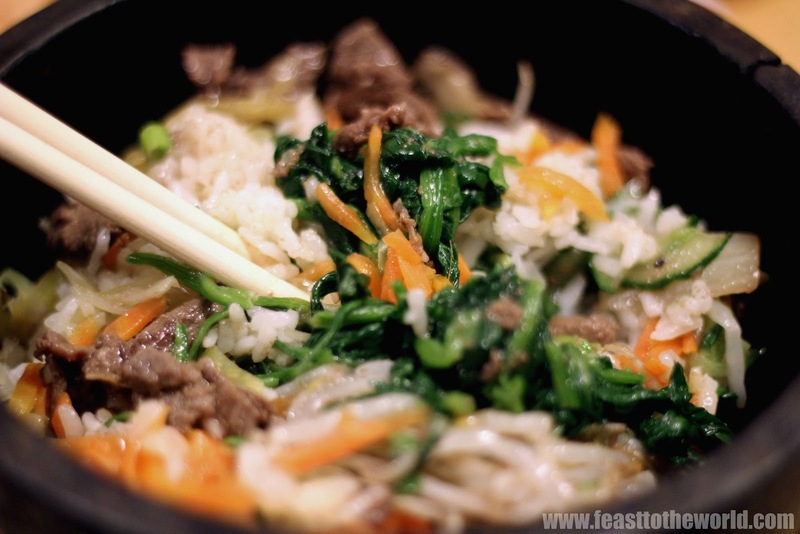 The Beef Bulgogi Bibimbap (£6.95) unfortunately too, were rather bland and did not have a lot of flavours to it. I was advised to help myself to the miso (fermented soybean paste) and gochujang (Korean Chili Paste) when the dish arrived and after tasting the rice I did, loads in fact and that did contributed more taste to the dish. I did liked the amount of fresh vegetables which gave a lovely contrasting texture to the dish however. After the meal, I did felt well fed and the portion sizing were generous so as an economical eats, this had indeed fulfilled that requirement and the food overall, were decent enough, despite my dissatisfaction on the lack of spiciness overall. 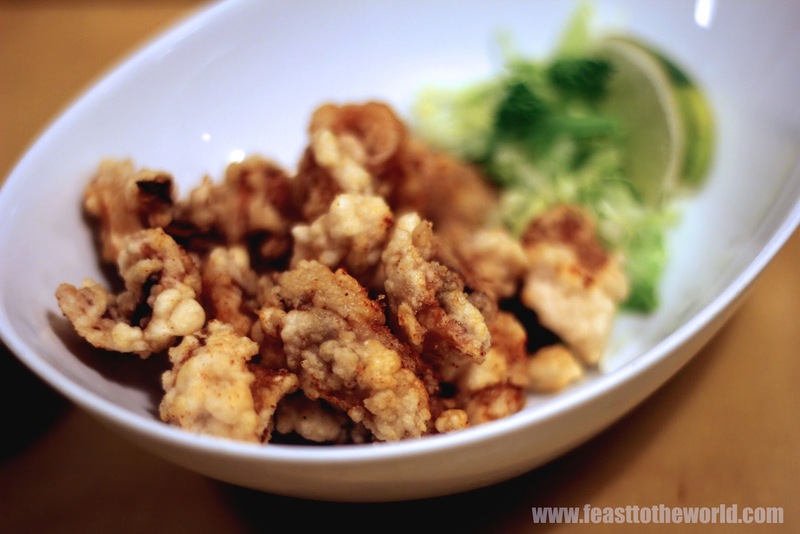 However, I couldn't help but felt that should the marinated beef not have some flavours to begin with since it was marinated before cooking after all and the overcooking of the squid just seemed sacrilegious to me. I know I shouldn't judge harshly as it has never claimed to be anything other than serving a modern Korean cuisine that is healthy, affordable and tasty but on the taste front, it was lacking on the day. For a quick and cheap meal, I will possibly go back again for the sake of those pancakes and also order something else off the menu. However, I definitely asked for a healthy dosage on the chill front with whatever I order, this is Korean cuisine after all and I do expect a bit of chili kick.